Games show ase chalega is not running live on the roads of Karachi, where they are giving free gifts by asking some question to the pubic on the roads of Karachi , Islamabad , Lahore , Punjab , and many more cities of Pakistan. Game show ase chalega run by dr Amir laqat. The person who first introduced the Amir laqat show in ramadan few years ago. After the great Success of the actual become popular day by day and you success of the actual become popular day by day. 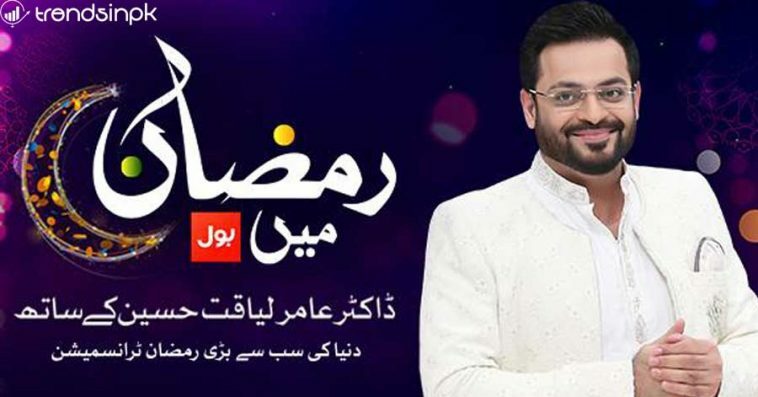 Now this game show ase chalega is lunched live on televisions and every Pakistan loves the amir laqut show because it’s full of entertainment and loveable movements that Pakistani can not forget.